Roger Federer, Serena Williams, Andy Murray, Martina Navratilova, Rafa Nadal, Novak Djockovic, Steffi Graff, Venus Williams and many, many more of the greatest players in the history of tennis have been runners up at Wimbledon…..
Our award did not come from playing tennis on the hallowed Wimbledon courts as you might have realised! We were recognised in the Healthy Workplace category at the Merton Best Business Awards. It’s an award we’re delighted with, having been recognised by the London Healthy Workplace Charter earlier in 2018 as we placed a greater focus on improving the health and wellbeing of our staff at our Wimbledon headquarters. The overall winners of the Healthy Workplace award were Harnham – a specialist recruiter with a focus on marketing analytics, digital, data science and related technologies. And they are based almost opposite us on Wimbledon Hill Road. It must be the street for healthy workplaces! The awards, which highlight the achievements of SMEs in the London borough of Merton, are now in their sixth year and culminate annually in a glamorous awards ceremony, which was back at the home of tennis this year. 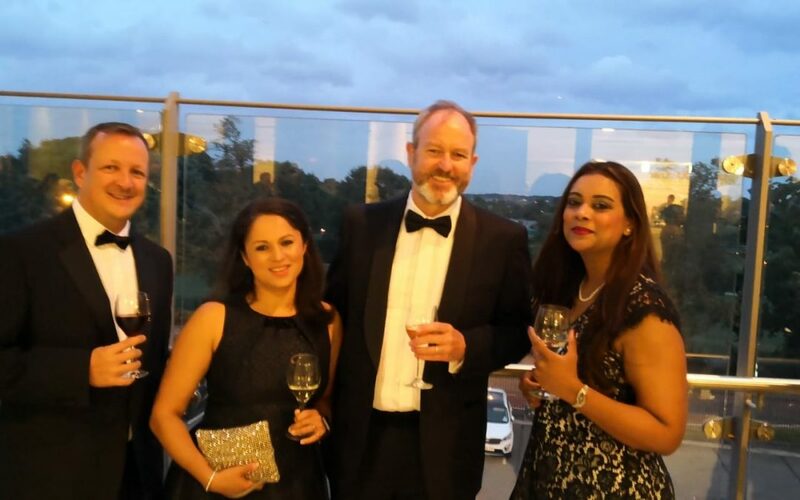 Six members of the team attended – all looking very glam and dapper if we do say so ourselves! – and we enjoyed seeing our new friends at Swords Travel winning the best New Business Award, and our local pub The Alexandra scoop a hat-trick of awards – Best Pub, Best Business in Wimbledon and the Andrew Wakefield award for all their sterling work in the local Wimbledon community. 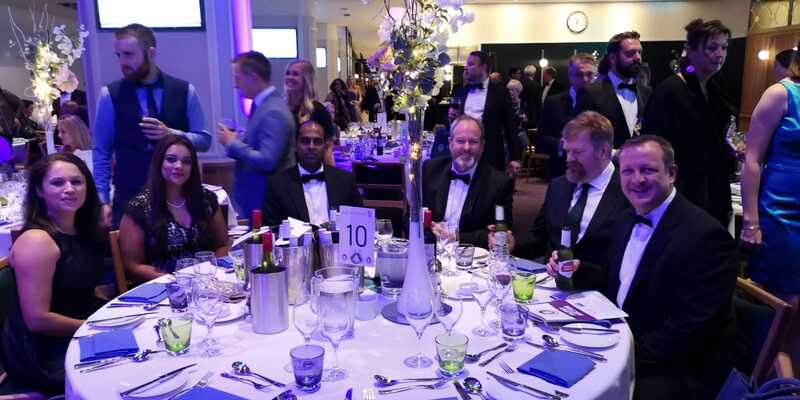 Well done to all of the nominated businesses and winners and thanks to Merton Chamber of Commerce and Merton Council for organising a great night, as well as Shine Workplace Wellbeing who helped us with our employee wellbeing push earlier in the year.